Break out the Mariachi band, the Mexican fiesta is calling! Oh yeah, Mexican-inspired parties are now all the rage throughout Australia. That in itself isn’t surprising at all. Fiesta parties are full of life, pomp, color and the music is out of this world. In this post, you will find planning, invitations, decorations, food and entertainment ideas for your next Mexican-inspired fiesta or Cinco de Mayo celebration. Start off your fiesta on the right foot by sending out Mexican inspired invitations. Roll up the information about the party in colorful paper and use a fiesta bandana to tie it. Otherwise, order customized fiesta invitation cards online, making sure they are full of color and Mexican banners. You can also attach pieces of paper on the invite to resemble a piñata. You also want to set the scene with an assortment of fiesta decorations. Scene setters such as siesta big sky scene or fiesta desert flowers can do the trick. If you are hosting the party indoors, hire another mariachi band to play inside and the party is off and running smoothly. 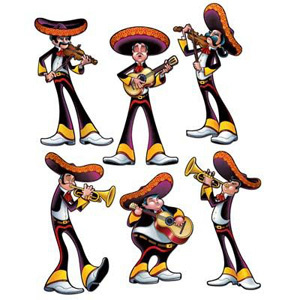 Let Mariachi music rent the air throughout the party – it certainly sets the mood for the fiesta. Also, try fiesta decorations such as fiesta balloons, coolers, Mexican fans, and hanging décor. In a fiesta, you want the tables to be the center of attention. Buy table covers, centrepieces, linens, disposable plates, cups, tooth picks and other cutlery in colorful and bright green, red and orange fiesta colors to complete the set. Mexican-themed parties are fun-filled partly because of dancing and fabulous games. Give everyone a chance to learn to do Mexican Hat Dance or Macarena. Even better, arrange a dancing contest or hand a bull piñata and see who can hit it down. And, oh yeah, you can try Limbo dance. No fiesta can be complete without some mementoes and keepsakes for the guests. 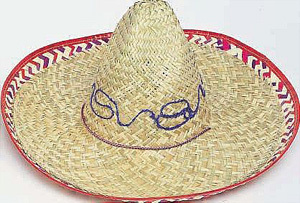 For this, you can get several sombreros to gift to your seniors and senoritas! This entry was posted in Party Supplies, Party Supplies Online, Party Themeing, Party Tips, Partying with Success and tagged fiesta balloons, fiesta decorations, fiesta tableware, Mexican fiesta, Mexican-inspired, Mexican-themed party on September 22, 2017 by Mercurian.